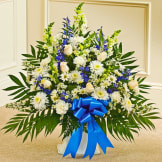 • Features beautiful white roses, lilies, mums, snapdragons and more. 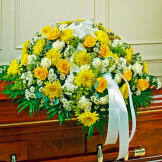 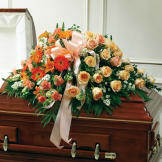 • Traditionally sent by the immediate family directly to the funeral home. 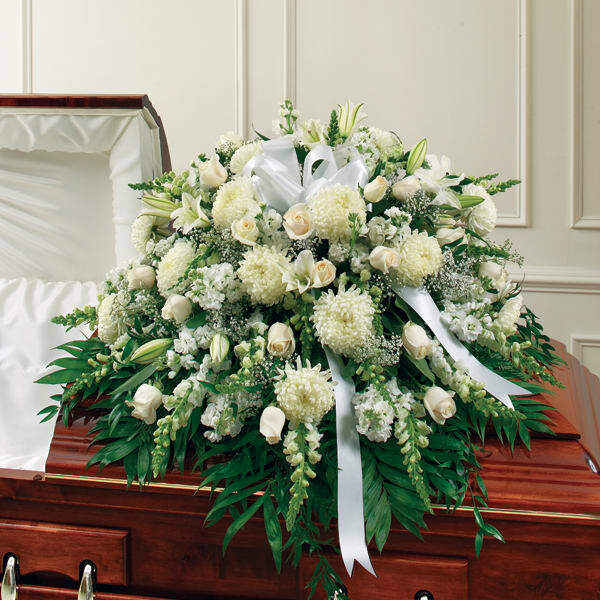 • Arrangement measures approximately 18”H x 28”W x 38”L.